This scorching season is one where you cut down on layers and shorten hemlines, so why not do the same for your jewellery too? Heavy sets, large necklaces and clunky bracelets can weigh down on the skin, leave it sweaty and even make it prone to rashes. So does one need to drop the bling completely during the hot months? Not necessarily. What you can do is pick jewellery that is light in weight which doesn't cut down on the style quotient. For that, we've picked 10 pieces that are ideal for summer. 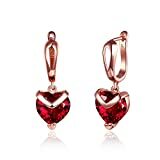 The Yellow Chimes Stud Earrings are 18K rose gold plated earrings with heart shaped red stones dangling from it. The Shining Diva Anklets are made from gold plated alloy studded with kundan stones. 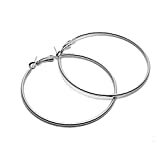 The Stripes Hoop Earrings are large circular hoops with silver rhodium polish. 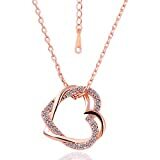 The Yellow Chimes Pendant is a 18K gold plated pendant of intertwining hearts with Austrian crystals. 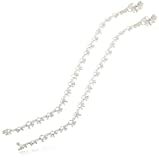 The AanyaCentric Anklets are alloy ankle chains with pure silver plating. 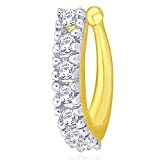 The Mahi Nose Ring is made of 24K gold plated metal studded with cubic zirconia stones. 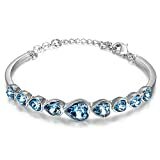 The Yellow Chimes Bracelet is made of white gold plated alloy with blue heart-shaped crystals. The KaratCart Earrings are white gold plated dangling earrings with round cut Austrian crystals. 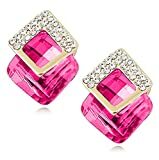 The YouBella Earrings are square-shaped studded earrings with pink stones. The YouBella Bracelet is a gold plated bracelet in floral studded shapes. For more jewellery choices this summer, shop here. Summer bling doesn't need to weigh you down anymore.